Swarm at the top: Yellowjackets finish the season No. 1 followed by ... who? EDITOR’S NOTE: Comprised of teams from the Central California Athletic Alliance, Mother Lode League, Southern League and Trans-Valley League. 1. Hilmar (13-2): The Yellowjackets ascend to the top spot after winning Sac-Joaquin Section Division VI and CIF State Division VI-AA championships. No. 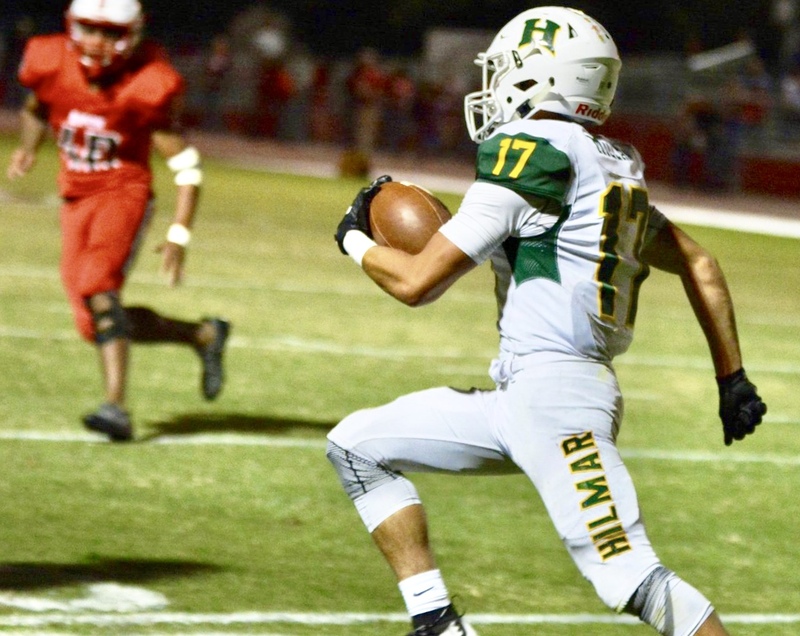 9 Hilmar was the region’s second-highest ranked team in the MaxPreps' final all-teams section ranking, trailing only No. 4 Central Catholic. 2. Ripon Christian (12-1): The Knights enjoyed a historic campaign, capturing the Southern League title with an unbeaten run and reaching the Division VI final, its second section final appearance in as many seasons. Along the way, Ripon Christian knocked off No. 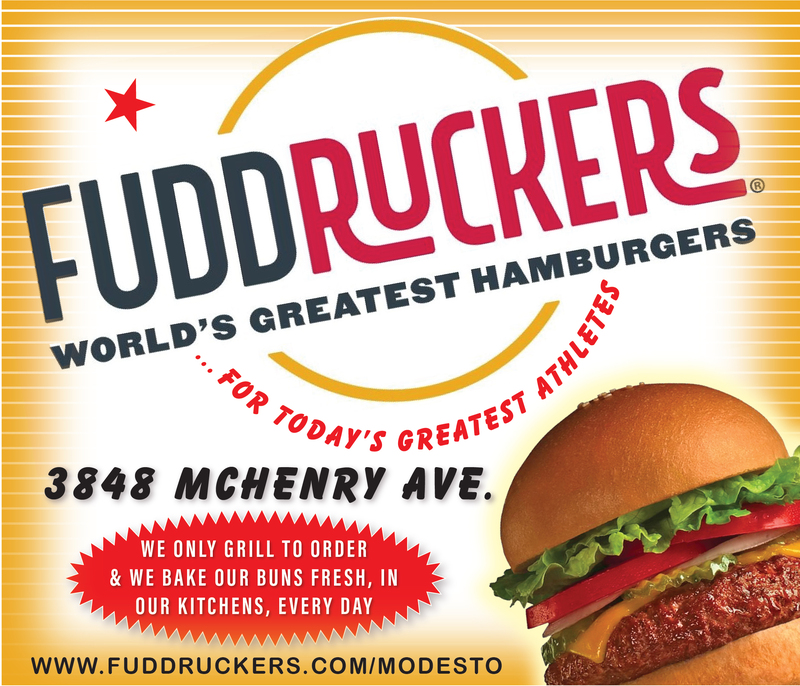 1 Modesto Christian. There’s more exciting news, too: former NFL quarterback Randy Fasani has been named the new head coach. 3. Ripon (10-2): The Indians began the season with a bang, holding their opponents scoreless for the first 11 quarters. Ripon rode that momentum to a share of the TVL title and semifinal appearance in the Division V playoffs. 4. 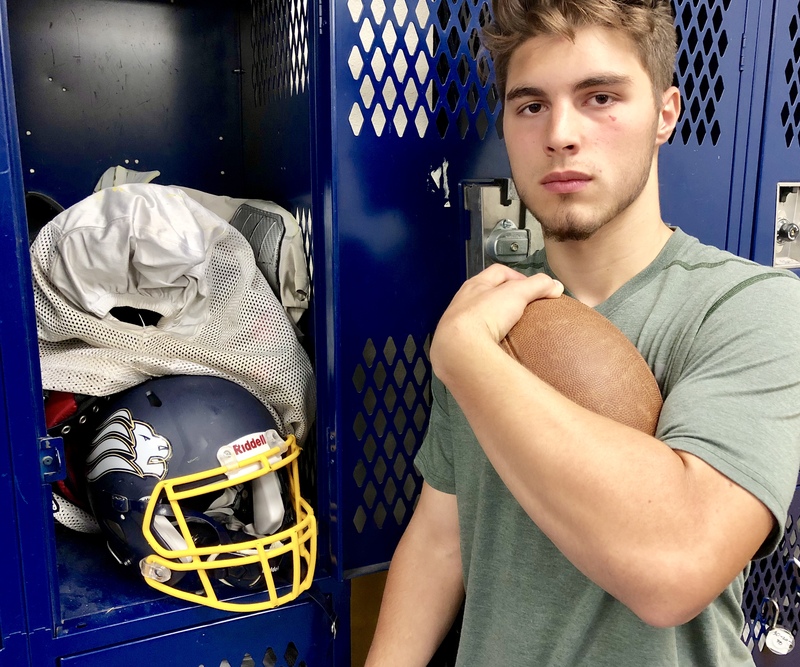 Modesto Christian (10-2): The thin-roster Crusaders avoided the injury bug for most of the season, celebrating a share of the TVL championship and a top seed in the D-VI playoffs. 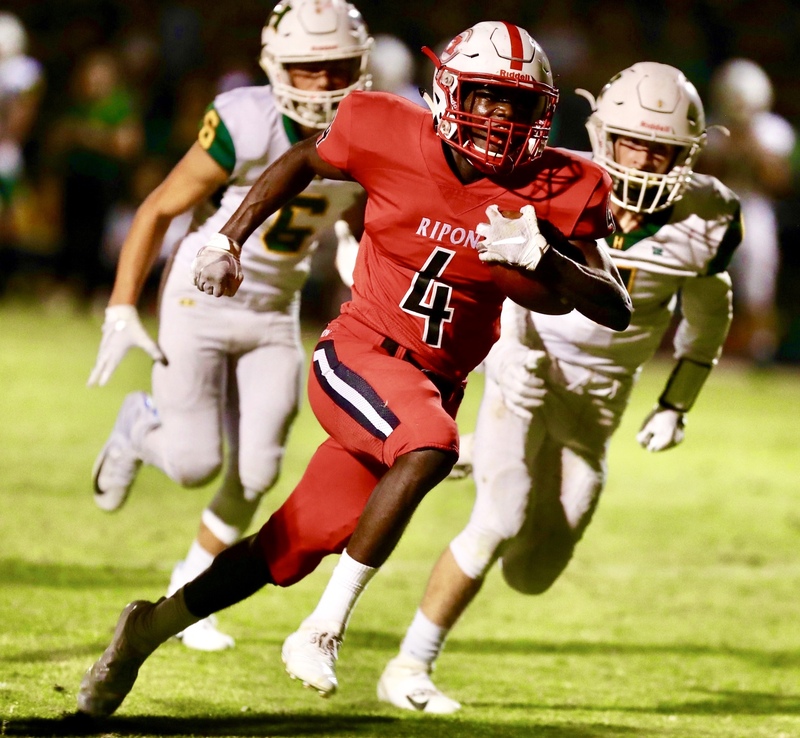 However, injuries caught up to Modesto Christian, which played its semifinal loss to Ripon Christian without senior captain Jose Hernandez (knee), the team's leading rusher and vocal leader in the secondary. 5. Escalon (9-3): The Cougars won nine games and reached the Division VI semifinal round in coach Andrew Beam’s first season and gave the Yellowjackets their only test in the postseason. Escalon was ousted by Hilmar, 28-18, but returns a bevvy of talent, including juniors Kaden Christensen, Jacob Walden and Damien Tom. 6. Denair (12-1): The Coyotes etched their name into regional lore with one of the most remarkable seasons ever produced by a small school. Faced with dangerously low numbers and a school district on the verge of bankruptcy when he took over the program, coach Anthony Armas guided Denair to Sac-Joaquin Section Division VII and CIF State Division VII-AA championships. 7. Sonora (7-5): The snake-bitten Wildcats began the season as the No. 1 team in the region, but plummeted outside the top-10 following four bad losses in August and September. Sonora got healthy just as Mother Lode League play began and rolled to its fifth straight league title and a semfinal appearance in the D-V playoffs. 8. Calaveras (7-5): Calaveras reprised its role as the second-best team in the Mother Lode. Calaveras won seven games, including a Division VI playoff game, in coach Jason Weatherby’s final season. Blade House will be a foundational piece for the Lions next fall. Though he missed the first 30 days of the season after transferring, House, a linebacker, was an impact player on the Big Valley Christian defense. 9. Big Valley Christian (9-2): Coach Brian Berkefeld has won 18 games in his first two seasons and there are more exciting developments taking shape at the corner of Pelandale and Tully. The Lions have committed to improving facilities in hopes of attracting talent to combine with 2,000-yard running back Javyn Drobnick and linebackers Blade House and Caleb Von Donselaar. 10. Orestimba (7-4): With quarterback Jacob Bettencourt and receivers Tyler Vargas and Jacob Dominguez, the Warriors possessed one of the top aerial attacks in the southern half of the section. Still it wasn’t enough to keep the Warriors’ Southern League championship streak alive.